We talked with Michael Roberts, the Chief Operations Officer at AIT - a privately-owned company and is the longest standing web hosting company in the industry. HOSTSEARCH: Michael, thank you for giving us an opportunity to talk with you today. Can you please introduce yourself to our visitors? How did you join AIT? MICHAEL ROBERTS: Thanks for inviting me to speak with you and your readers. As you mentioned, I’m the COO of AIT and have been with the company since 1998. My role today is to lead the organization in all facets, including our sales, marketing, operations, engineering, research and development, accounting and finance departments. While my role today is vastly different in terms of the day to day tasks and things I have to have visibility on, however my main goal is no different than when I started as an entry level technical support representative. Our customers and their satisfaction is our main goal. 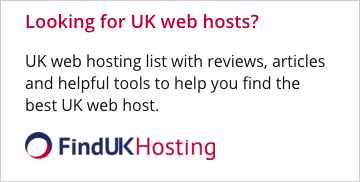 HOSTSEARCH: What type of hosting services do you currently offer? MICHAEL ROBERTS: We offer a wide range of hosting services. Because we own our own data center, which is unique in this industry, we are able to offer everything from simple shared hosting accounts through colocation cages. We are specifically focused on dedicated servers, with some VPS and cloud technologies mixed in. We’ve also done web development and web design services for many years as well. HOSTSEARCH: As you mentioned, you were offering Free Private Registration at AIT, can you tell us more about this offer? MICHAEL ROBERTS: Sure. We believe this is where many registrars have tried to ‘nickle and-dime’ the marketplace. We believe private registration services should be free. If we can provide this solution to our customers without incurring huge costs, then our customers should be able to benefit from this service. HOSTSEARCH: Can you tell us more about Website Marketing Tools? MICHAEL ROBERTS: Yes. Many of our Website Marketing Tools are offered to the marketplace because they are tools that we have personally used, tested and had success with. There aren’t any shortcuts. Marketing your products and services can be difficult. So any time we can obtain a free or inexpensive tool that can help our customers reach their target market, we try it. We “eat our own dog food” so to speak. If we’re able to provide that tool to our customers, or create our own tool that performs a valuable service, then we do our best to get it out to the marketplace. As many of our customers will tell you, their main job is new customer acquisition. Not providing a technology fix, or providing a service. New customer acquisition is directly related to growth of a business, and that’s the exciting part to business owners. When they see what they have built is growing, it fuels them and provides them opportunities for the future. One of our marketing product staples is our Email Marketer Pro product. This product is geared towards email marketing professionals who maintain large email lists in excess of 10,000 contacts. So these could be advertising agencies, marketing firms, or web hosting resellers who provide marketing services for their customers. The benefits of Email Marketer Pro are that there is no fee for emails or contacts. Thus, prices don’t go up based upon how many emails one may send. It can still track all of the details of what the user may do with that email, including click and forward statistics. We’ve seen a huge increase in this product over the years. HOSTSEARCH: As AIT being a Google Certified Partner, can you tell us how this was established? MICHAEL ROBERTS: Our partnership with Google goes back many years, but in summary, we wanted to obtain the Google Certified Partner status in order to provide our own marketing team with all of the tools it takes for us to be successful at what we do, which is selling web hosting, domain registration, and dedicated servers. We were ‘eating our own dog food’. Once we are able to understand our market place, and our drivers, then we can advise our customers on how to do the same when they inquire about how to drive business with Google. Also, we can provide discount advertising in Google to our customers as part of our Certified Partner status. This is another benefit to our customer base. HOSTSEARCH: Can you give us some ideas about your company's facilities? MICHAEL ROBERTS: AIT’s headquarters in Fayetteville, NC is a 3-story 93,000 sq ft facility that contains our corporate offices, and our data center. All AIT staff are located in our core Fayetteville facility where our data center is located, including all of our 24x7x365 customer service and technical staff. AIT does not outsource technical support, systems or network administration, engineering, or facilities maintenance. All of these areas are directly employed by AIT to ensure maximum reliability and control. AIT’s data center is also multi-honed with fiber connectivity from multiple entry points for redundancy. HOSTSEARCH: What new products and services does AIT plan to add in the near future and what direction do you expect the company to go? MICHAEL ROBERTS: Our core growth in the past 3 years has been centered around two core technologies: dedicated servers and virtualization. Our product roadmap focuses much of what we will be adding or enhancing to products that will aid customers with those two technologies. For example, we are working on enhancements for our My Account management center to enable remote installation of operating systems for customers with dedicated servers and remote management needs. We are also extending our virtualization certifications so that we can better provide support and engineering consulting to customers looking to build out scalable cloud infrastructures. HOSTSEARCH: As AIT have been in the web hosting business for such a long time, what are the factors that make AIT successful in the industry? MICHAEL ROBERTS: We’re a resilient group. We understand the complex and diverse marketplace we are in and we strive every day to meet the needs of our customers. Every person in our organization, from our CEO to our Tier 1 techs speak with customers every day. It’s important that we understand their needs and how we can help them be successful. If we can continue to do that, we will always be successful. HOSTSEARCH: Finally, what advices would you give to our visitors looking for hosting services? What is the most important element in a good web hosting provider? MICHAEL ROBERTS: This is a great question. For someone looking for hosting services, I would tell them to do their research. Many times we end up getting customers from other providers and they ask us 100 questions. The reason they are asking 100 questions is because they had a bad experience the first time with another provider, and they want to ask questions to ensure they don’t get into a situation that harms their business again. And I don’t blame them. From the research you do, you can put together a chart/matrix of answers to tell you who is the best provider for you. If you value support over disk space, then you can see that in a chart format. The most important element from my side is providing support and reliability to the customer. Support is hugely important because we have to have the right people providing the right resolutions or recommendations to customers. 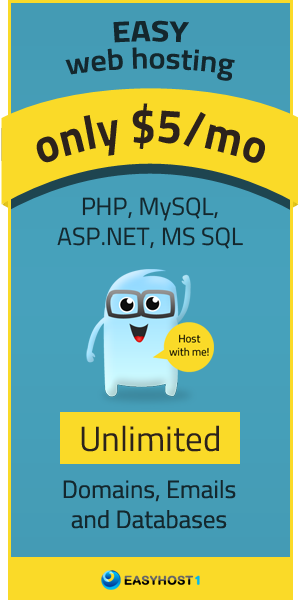 And I say reliability because businesses want their web hosting provider to be like their telephone provider. They don’t want to pick up the phone and not hear a dial tone. So for web hosting, customers don’t want to pick up the phone if their website or email doesn’t work. HOSTSEARCH: Well, we are looking forward to see your success in the coming years. Thanks again for giving us an opportunity to talk with you today. MICHAEL ROBERTS: Thanks for your time, and for the interview from such a great resource.